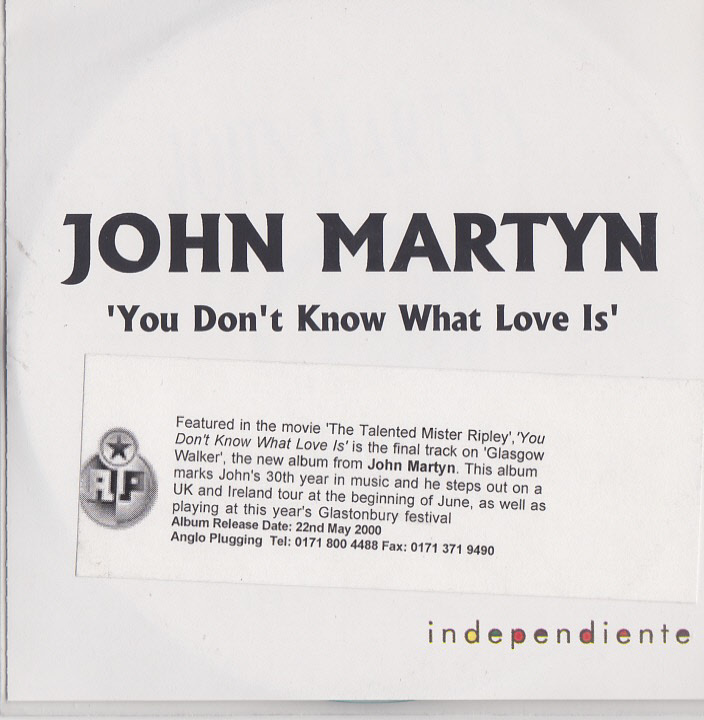 Advance promotional release of You Don’t Know What Love Is takem from John’s forthcoming album Glasgow Walker. This particular songs was recorded for the Anthony Minghella film The Talented Mr Ripley. Released around 1st May 2000 in a printed white record company paper sleeve. Produced in very limited numbers.